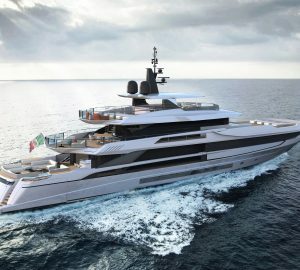 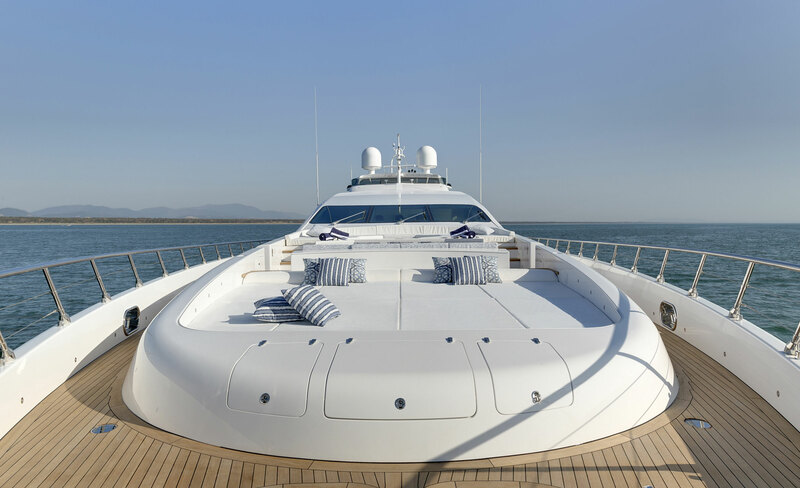 50m/164ft OPEN-STYLE SPORTS YACHT from Mangusta (Overmarine) was built in 2017 with naval architecture from Stefano Righini. 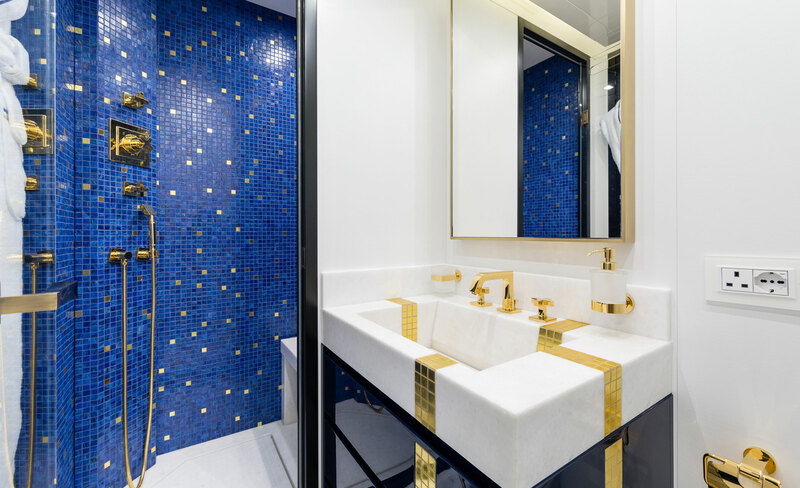 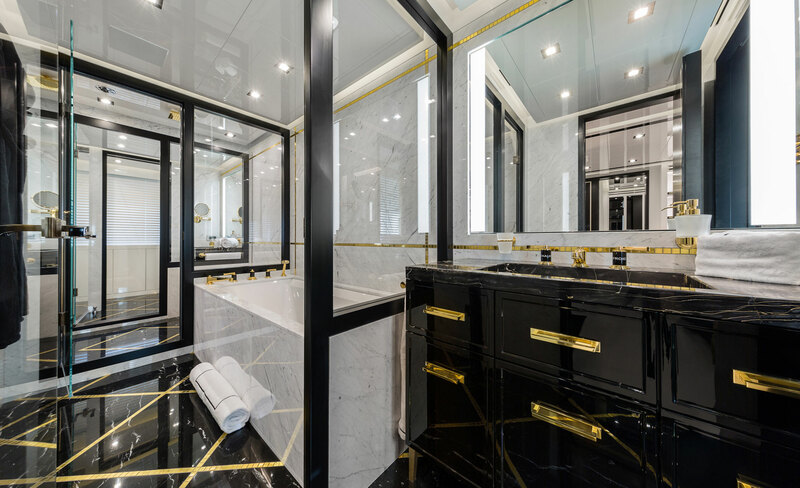 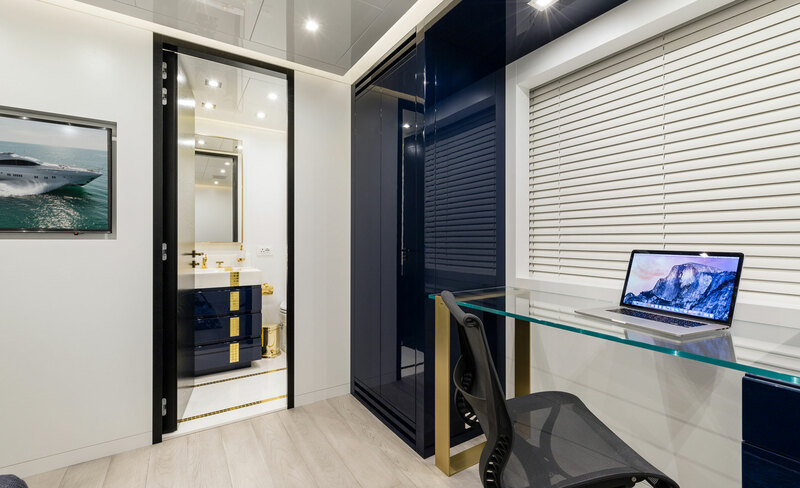 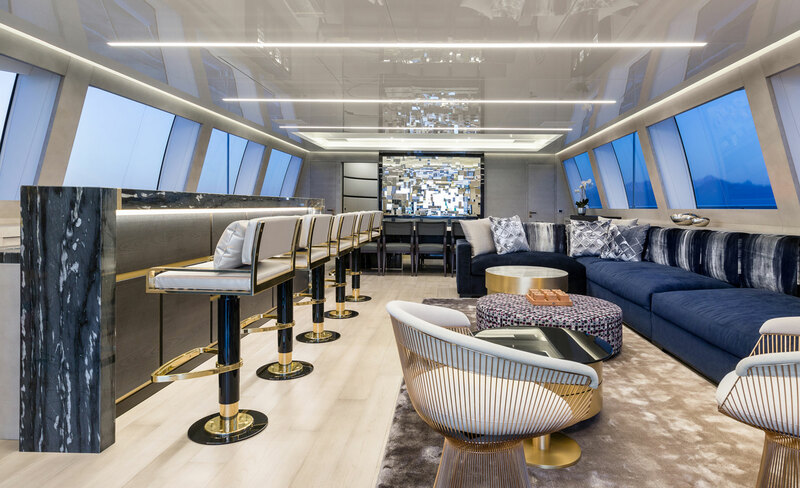 The interior is the work of Maxine Tissenbaum, who chose to use light and texture to create modern environments to suit any social occasion while providing comfortable accommodation for a maximum of 12 charter guests over five cabins. 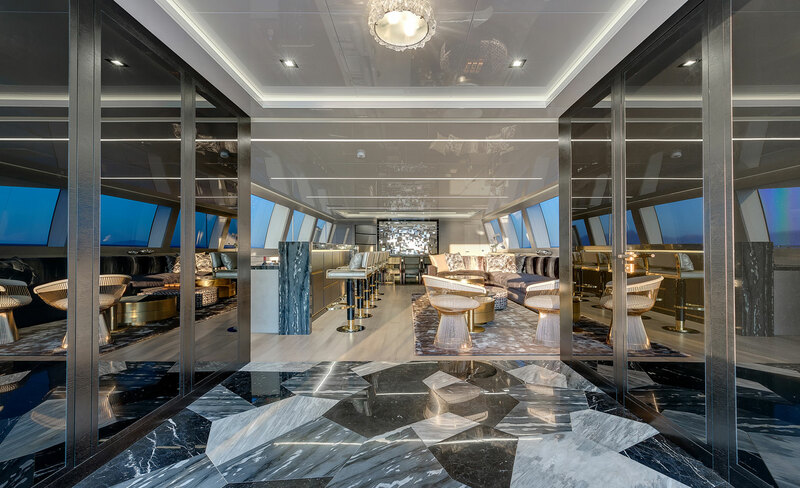 From the swim platform on the lower deck guests can access the main deck aft, which has three large sofas as well as armchairs and coffee tables. 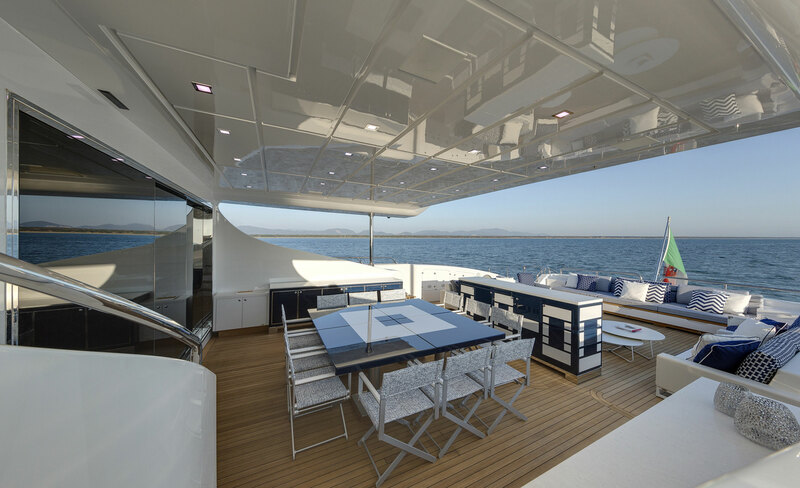 There is room close to the doors to the main salon for a square alfresco dining table to seat all 12 guests. 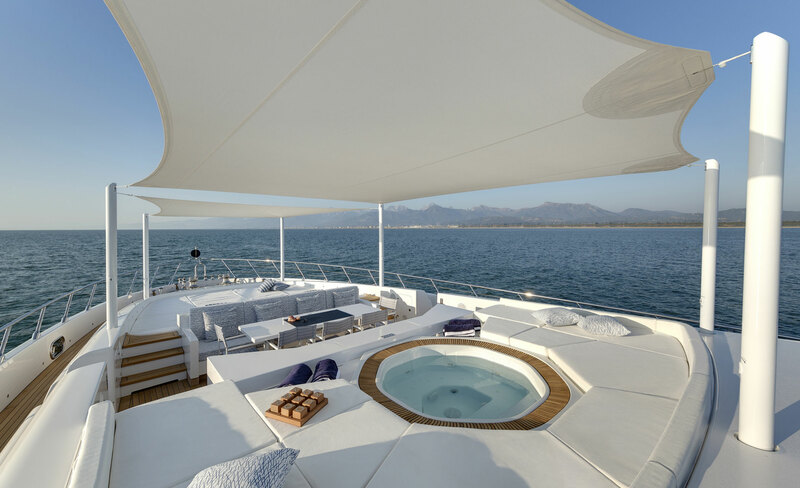 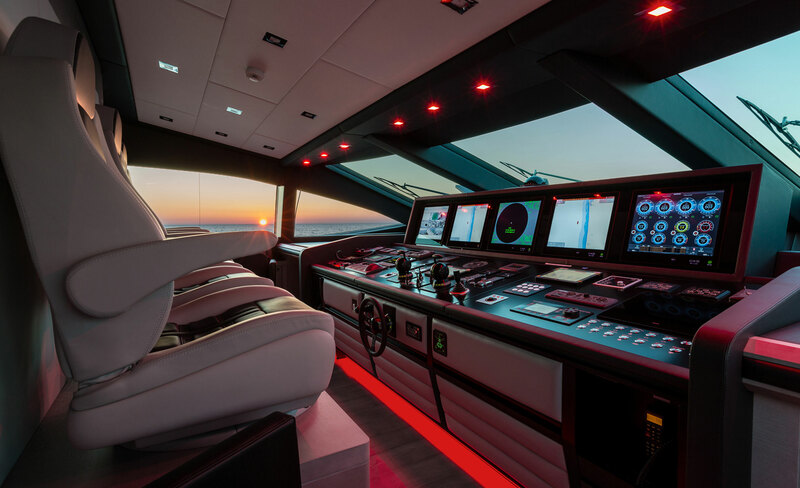 The Jacuzzi is placed on the foredeck and is surrounded by sunpads, while an alfresco dining area divides them from the forward sunpads. 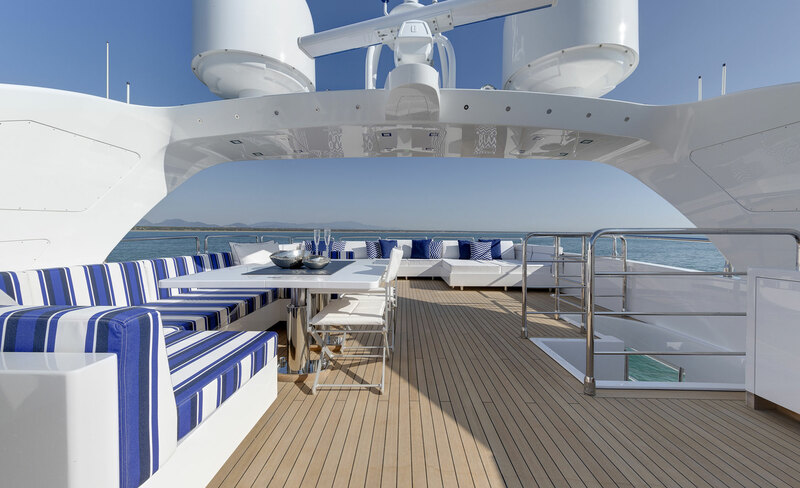 Canvas shades can be placed overhead for all-day outdoor relaxation. 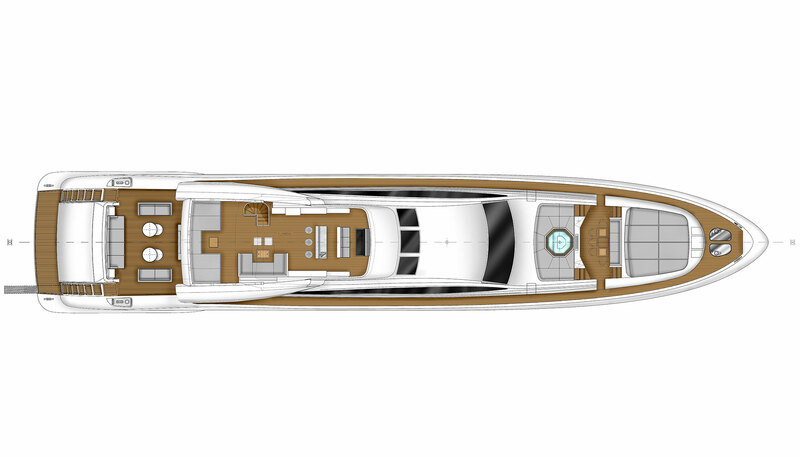 The flybridge is fitted with sunpads to the aft with a drinks table integrated into the setting. 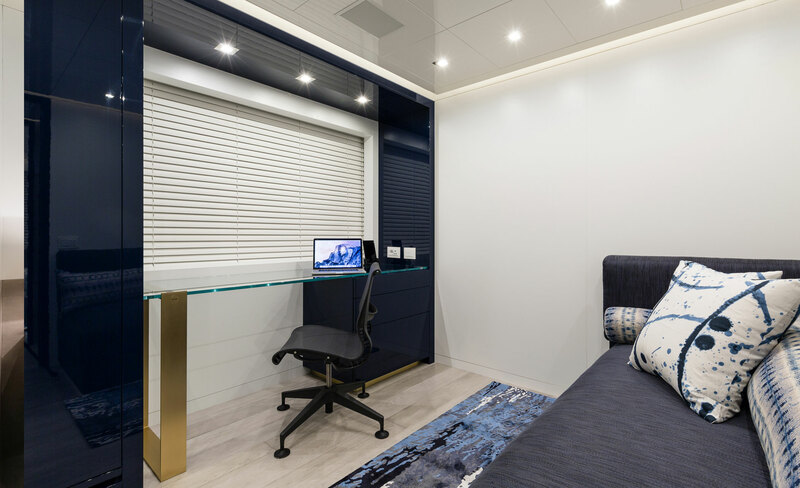 Under the hardtop, there is a deep C-shaped sofa while the forward section has a bar and a forward-facing sofa. 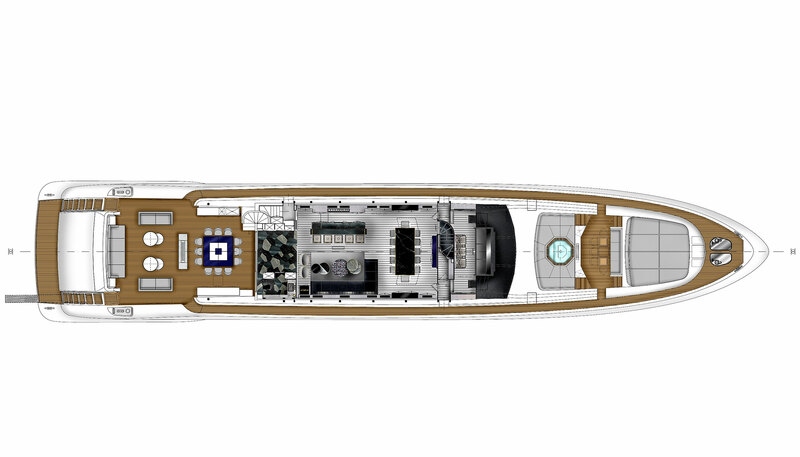 On the lower deck the stern area contains the tenders to port, which are launched and released through a side-hatch. 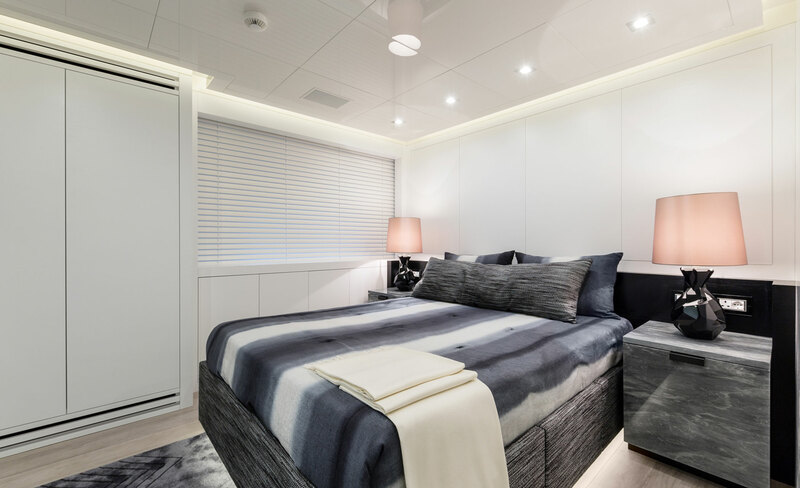 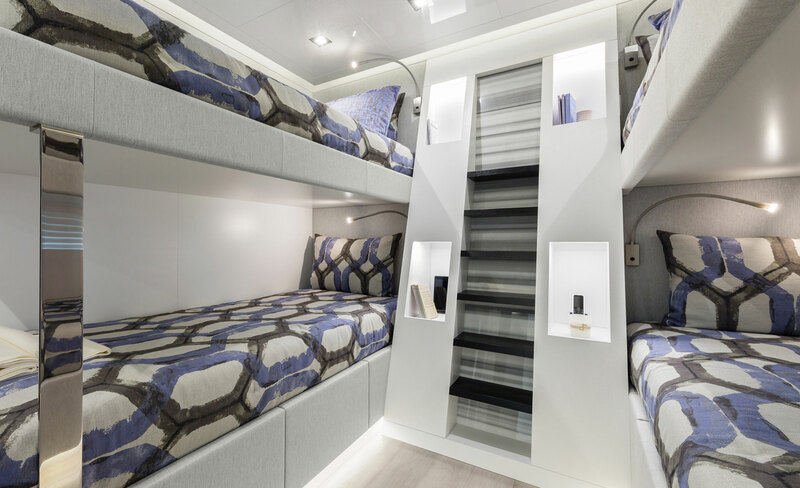 Forward is the engine room, the crew accommodation, mess and galley amidships and the rest of the space is dedicated to the guest accommodation, which consists of a Master suite, three double cabins and a twin cabin with four berths. 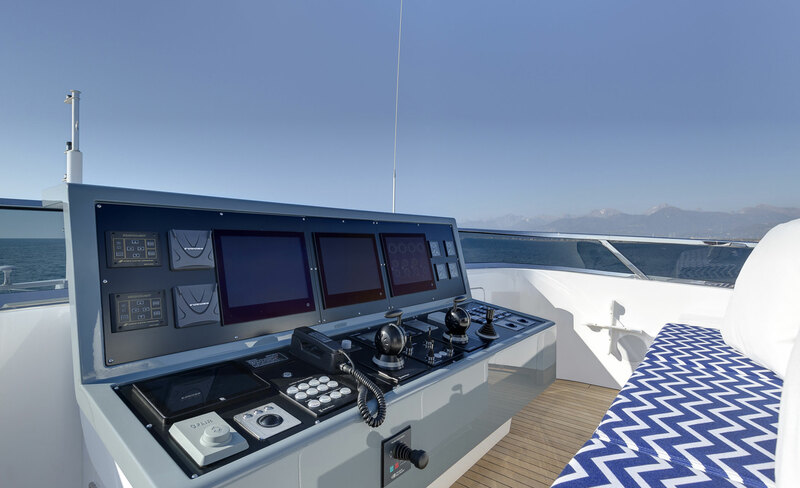 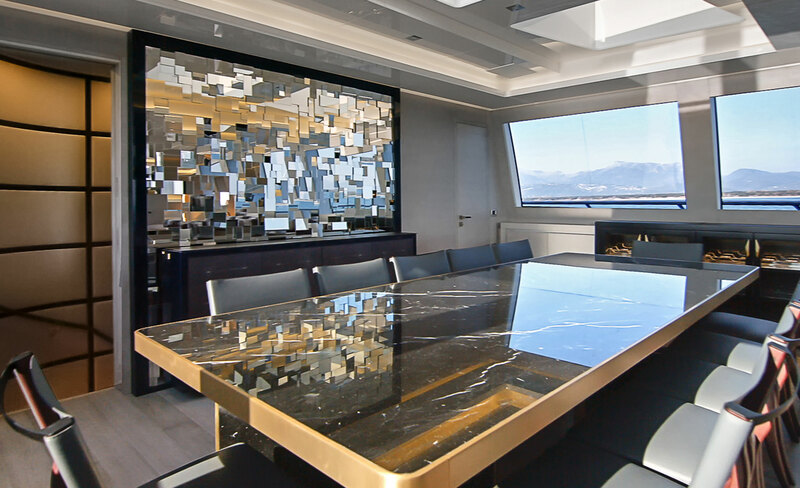 The main deck hosts the helm station with the glamorous formal dining area to serve 12 placed directly behind. 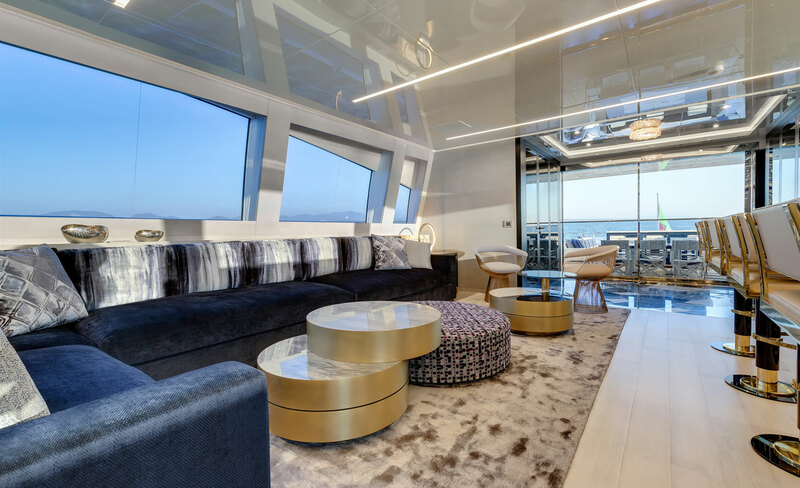 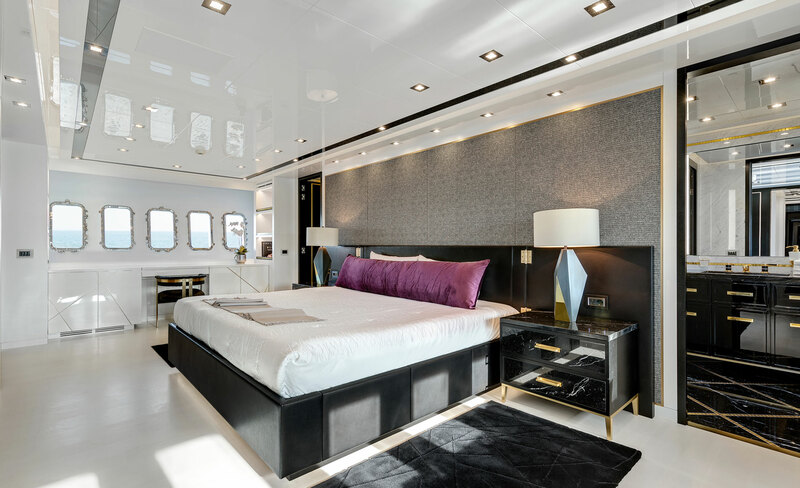 The open plan environment also includes a marble port-side bar and a starboard seating area where a plush sofa is placed under the large windows and metallic and textures coffee tables. 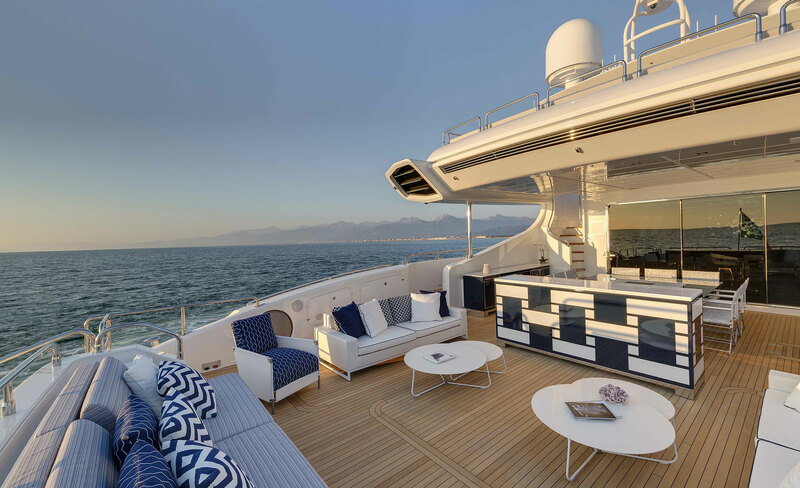 Two armchairs beside the doors out onto the main deck aft create an additional space for guests to savour drinks and enjoy more private conversation in the fresh air. 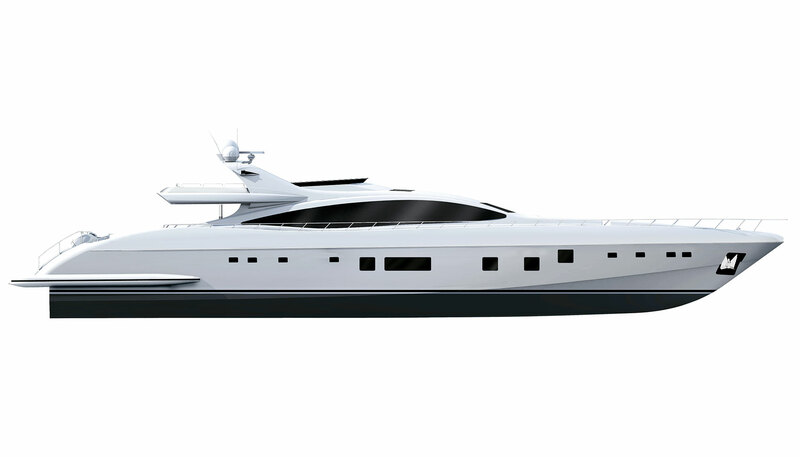 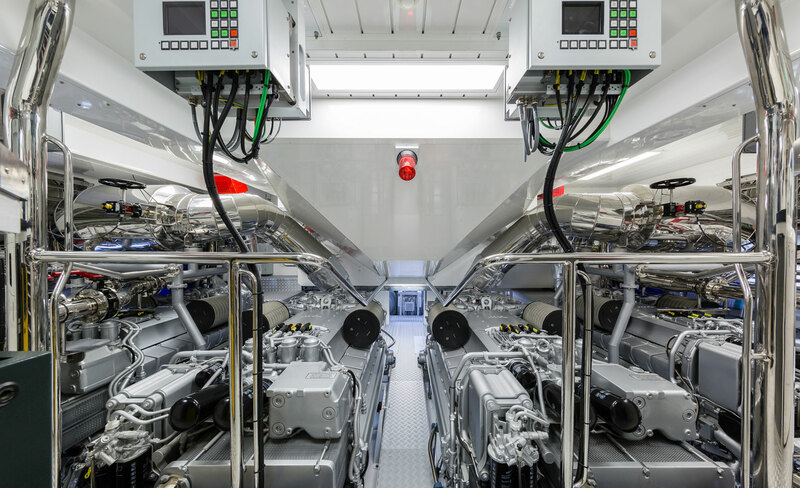 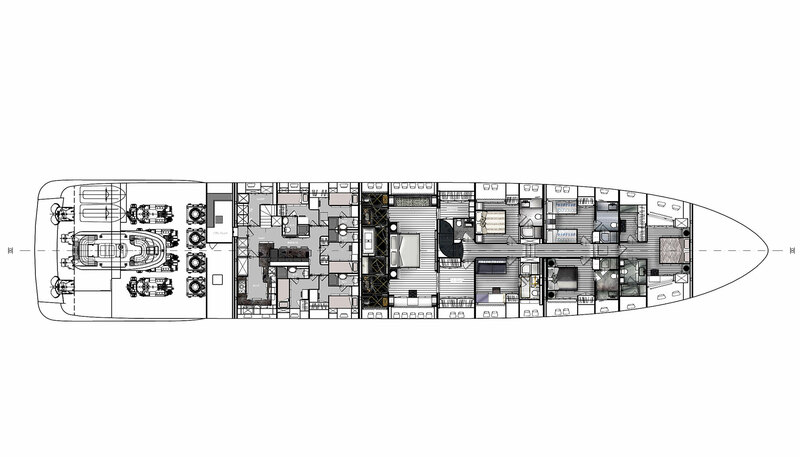 4 x MTU 16V 2000 M94 each providing 2600 HP allow for a cruising speed of 25 knots and a top speed of 38 knots. 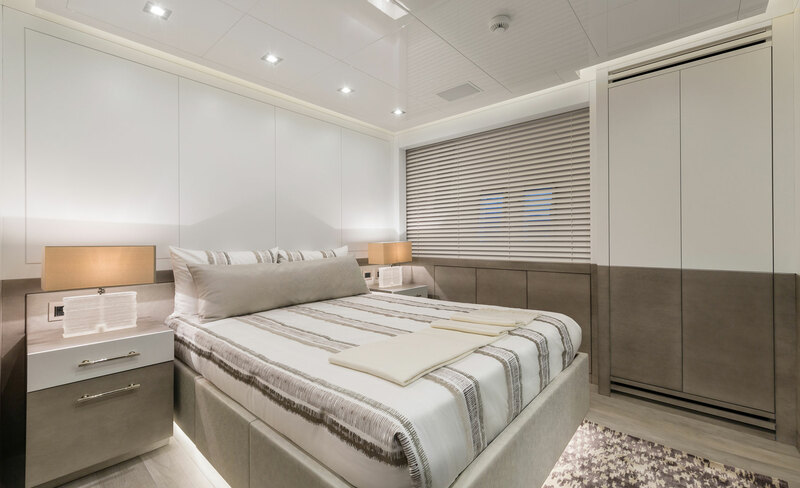 The accommodation sleeps a maximum of 12 charter guests across 5 en-suite cabins: 1 Master suite, 3 double cabins and 1 twin cabin with four berths. 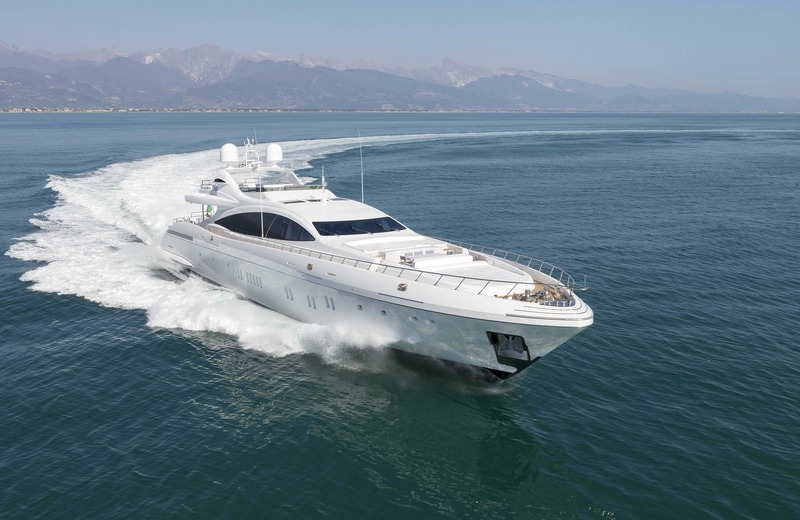 We do have available further amenity, owner and price information for the 50.00m (164' 1") yacht 50M OPEN-STYLE SPORTS YACHT, so please enquire for more information.